Drivers serve the world. We serve the drivers. 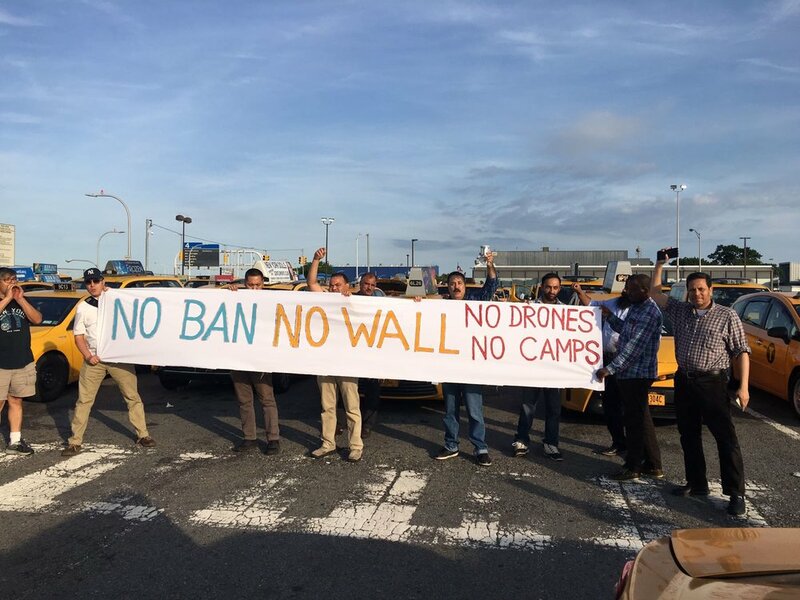 Jun 28 NYTWA MEMBERS STAND TOGETHER TO SAY: NO MUSLIM BAN EVER! 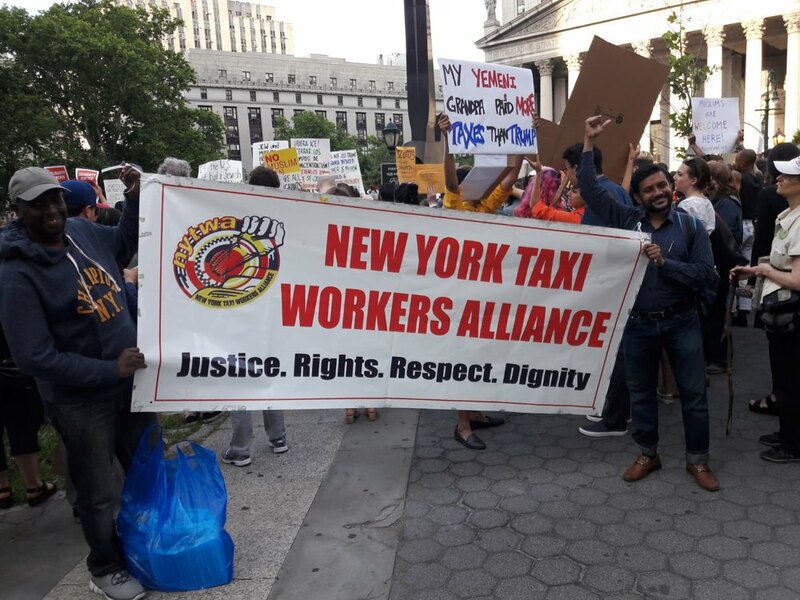 On Tuesday, June 26th when the Supreme Court ruled to uphold Trump's hateful Muslim & Refugee Ban, NYTWA members came together at Foley Square and at JFK to say: No Muslim Ban Ever! The highest court in the land is greenlighting Islamophobia. But we know that laws don't always protect the oppressed in this country -- slavery was legal, interning Japanese Americans was legal. When the law fails us we must heed the call of justice and organize. While we fight our biggest campaign for economic justice and stand together to overcome our crisIs, we continue to stand in solidarity with our neighbors across the globe for a humane world of peace with justice. Sign up below to receive industry and campaign updates! NYTWA attorney Zubin Soleimany: Uber's real commission rate now is more than 28% on average -- it started at 10%. Jun 18 Fill the Streets 'Til Victory!